So what’s all the fuss about blogs? Do they really help your business? Here are a few of the many reasons that they do. Every time you write a new piece of content, you create a new URL, which means that there’s a new opportunity for you to be found when customers search for information – when they’re looking for answers to their questions. You want to be there for them. You want them to come to you. The more you write about your expertise – and from different perspectives each time – the more long-tail search terms you will create. This is increasingly becoming a good source for the majority of queries. And this way, you’ll have a better chance of bringing in some highly targeted search traffic. So you’ve got all this great content, but you don’t want to give it away for free, right? 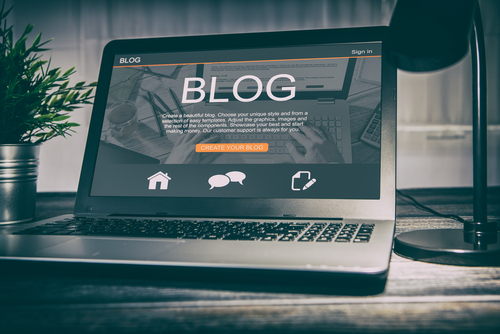 Blogs are a great way to increase customer interest and engagement, as well as harvest data. Here’s how – offer free snippets or highlight segments of your killer content, but keep the rest gated behind a landing page or sign-up form. In other words, dangle the carrot. After customers have shared their info, they’ll get to revel in the riches of your powerful content and you get their info. It’s a win-win for both of you. You know your stuff better than your competition. It bears your thumbprint and sets you apart from the rest. Simply put, blogging shows that you’re a front runner in your industry. But that’s not all. Blogs also are a place where your customers can return to again and again for solutions. You become a trusted source, which increases traffic. When the content on your blog offers real value, it helps establish trust with your customers – creating an emotional connection. When this happens, you have a greater chance of converting a lead to a sale. And this is something everyone wants. Once you’ve established your voice in the marketplace, push it out on social media. The effects of sharing your business tools and know-how from your blog on the web are exponential. Do the math. You know 500 people who know 800 people who know 1,000 people. The potential for engagements, which could end up as sales, are endless.